It's been two months since Madeintyo and A$AP Ferg teamed up for the collaboration "Ned Flanders" but, now the rappers are back with a new Lonewolf-directed video. 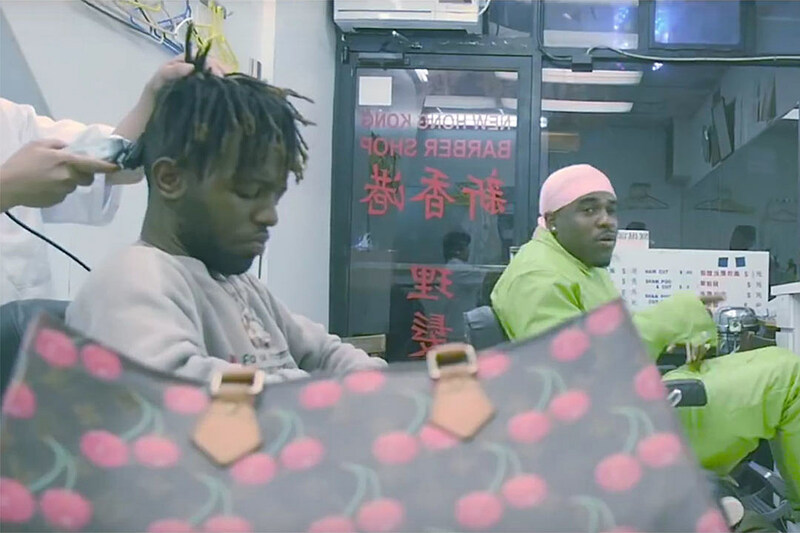 Madeintyo and Ferg take over a Chinatown barbershop in the video, spitting their bars from the barbershop chairs. Later in the video, Madeintyo and Ferg post up outside the shop and chill with their crew. The visual, which is full of quick cuts, also manages to blend day and nighttime shots of the rappers as they flex. Up next for Madeintyo, the 2017 XXL Freshman recently announced his debut album, Sincerely, Tokyo, is on the way. The rapper made the announcement earlier this week on Twitter, tweeting, "sincerely, tokyo the album. 🚗🚗🚗💨." Tokyo also recently stopped by XXL to chat about fatherhood. The rhymer, who is the father of a 1-year-old son, discussed the virtue of patience. "It might just be early in the morning, six in the morning and you're running to get a bottle, oh, and you find out he doesn't want the bottle," he said. "And then now you're like making the food and then you start feeding him and then he doesn't want the food and he spits it out and now he's rubbing it in his face," he continued. "And it's all over him and you're just sitting there and you're like patience, patience, patience." As for Ferg, the A$AP Mob member recently celebrated the fifth anniversary of his debut album, Trap Lord. Released in 2013, the 13-track project includes the hit song "Shabba" and features guest appearances from A$AP Rocky, French Montana, Waka Flocka Flame and more. Watch the "Ned Flanders" video below.